I’ve found myself at Penn Station quite a lot lately. You see, I’m working on the project of a lifetime with Happy Cog Philadelphia, so I visit by train from time-to-time. I’ve passed by this column dozens of times when I walk into the Amtrak area from the subway — and I have previously noticed the power outlet at the rather unusual height. 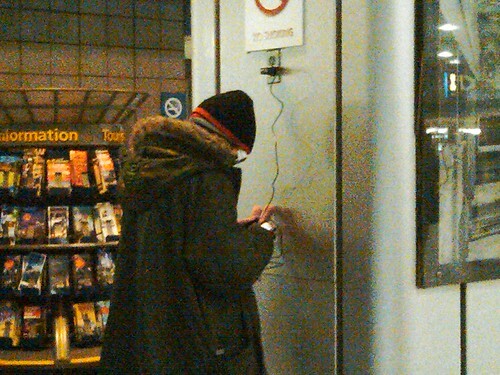 But I didn’t think much of it until I saw a guy charging his phone there the other day. Is it considered “legal” for Amtrak customers to use this power outlet for their own purposes? 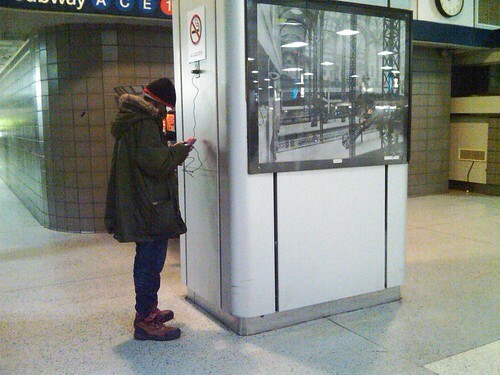 If not, what is the purpose of that power outlet? Is this an example of an opportunity to pave the cowpaths? 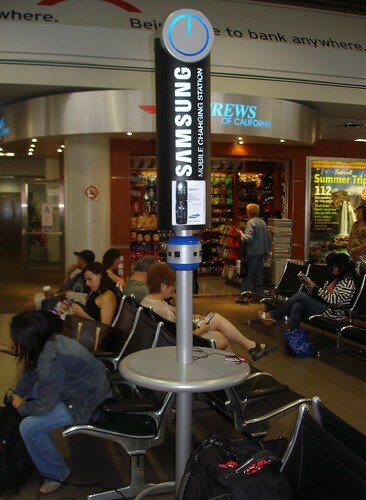 Should Amtrak recognize a customer need and install a mobile charging station? What comes to mind when you see something like this? Just think how much money Amtrak could make if they installed seats in the waiting areas! I remember when I took a bus into a city, and then had to make a call. My cell-phone at the time didn't hold a charge very well, so the battery was out. I made the call sitting against the wall with the phone plugged into the nearby outlet. But then, this was in Canada, where we have cheap electricity, with power outlets in front of many parking spaces. I just wanted to say thanks. Found this page on my dying phone and located that outlet.